Isaiah Johnson, a third grader at The Varnett School Southeast, earned an individual trophy by placing second among 65 players and winning six of seven games in the Elementary Junior Varsity Division of the Scholastic State of Texas Chess Championships. Inaya Mercer, a Southeast fourth grader, won a trophy for finishing 24th out of 73 players in the Elementary Novice Division. Inaya won four of seven games. And Detrevion Jerome won a trophy by placing 22nd out of 51 players in the Middle School Division. A sixth-grader, Detrevion won four of seven games. Inaya, Janae and Detrevion are siblings. Curtis Johnson, a fourth-grader and brother of Isaiah Johnson, won three of seven games for an honorable mention. Joel Eugene-Onyejiaka, a fifth-grader, won 3.5 games and also earned an honorable mention. All players accumulated school team points and earned The Varnett Public School sixth place in the Elementary Novice Section. Forty-one schools from north, south and central Texas participated in the tournament that was held March 9-11, 2018 at the Houston Marriott Westchase. Isaiah Johnson won the 2017 individual grand championship in the Elementary Novice Division as a member of Zoe Academy. 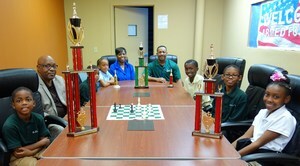 Congratulations to The Varnett School Southeast chess team and to Coach Richard Burton. "I'm so proud of the team's accomplishments," Mr. Burton said. "But by no means are we satisfied. I taught the kids the definition of the word complacency. They know it is something we will not adhere to. 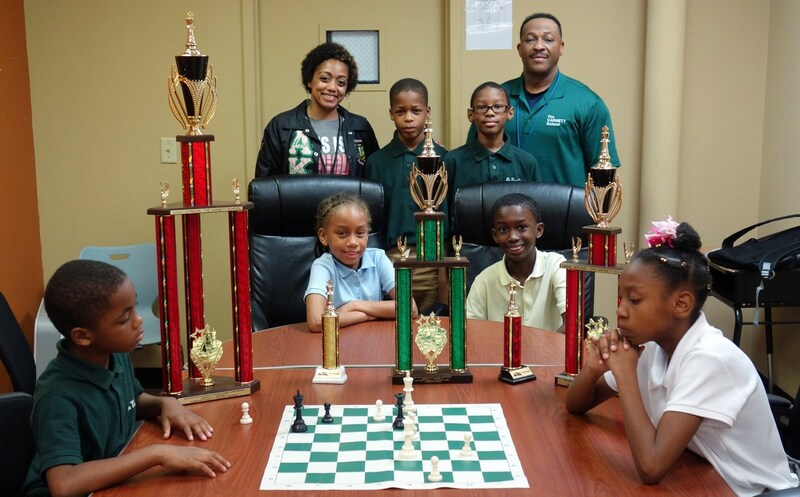 The kids are looking to represent The Varnett Public School by doing bigger and better things in the national and state chess tournaments to come." The next tournament will be April 21 at the Presbyterian School in the Medical Center. The Varnett Public School is seeking approval to implement a districtwide chess curriculum for the 2018-19 school year.